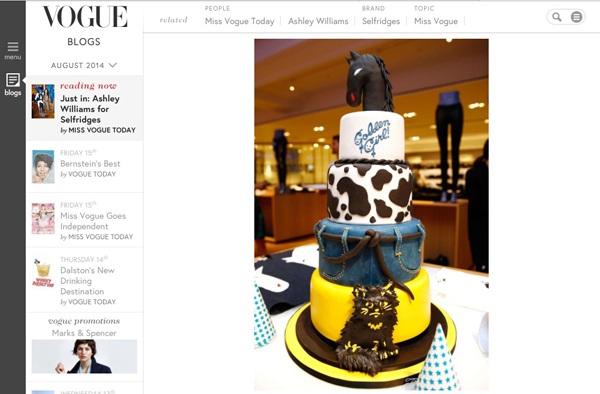 In August 2014 Cakes by Robin created a gorgeous cake for the 1st birthday celebrations of the denim department at Selfridges! The inspiration for the cake came from young London designer Ashley Williams’s limited-edition 8 piece capsule collection also available at Selfridges. 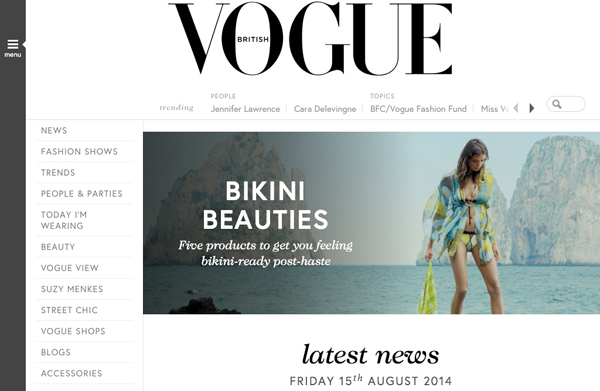 Read the full feature on the Vogue website here: Ashley Williams for Selfridges. You can also visit our blog post about the Selfridges Denim Department Birthday event.